I can’t count how many times I’ve gone to the beach expecting gale force winds and just missed the wind or had to wait around for hours for it to pick up again. 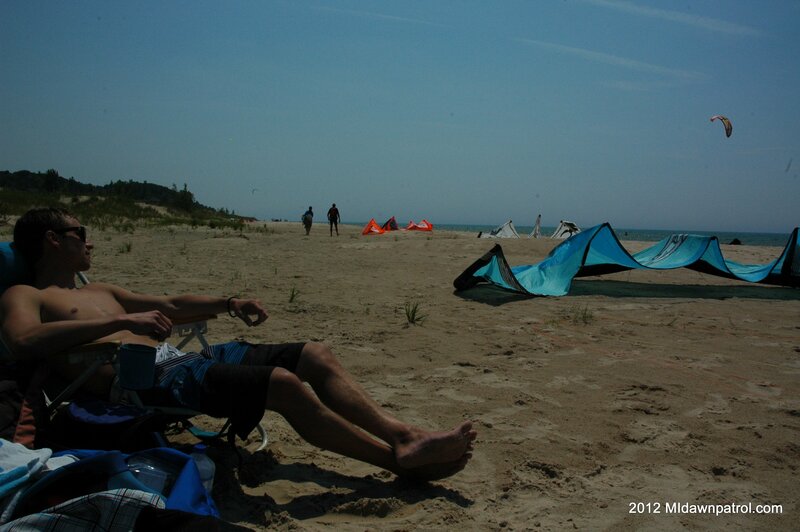 This is all part of the kiteboarding experience, especially if you live in Michigan. Sitting on the beach and soaking up some sun is a good way to pass the time but it’s hard to relax when all you can think about is strapping your kite on and getting back out in the water. One way to enjoy your time at the beach is to pick up a surf board, or an SUP. The perfect kiteboarding quiver should include a surfboard. More often than not, when you can’t kiteboard there are usually big enough waves on The Great Lakes for you to catch a ride on a surf board. It takes a lot of wind to generate good waves on the big lakes which can make it more difficult to surf so the lulls are the perfect time to get on your board. While I’m sitting on the beach waiting for the wind there are usually quite a few surfers and stand up paddlers enjoying great conditions, especially in Grand Haven. 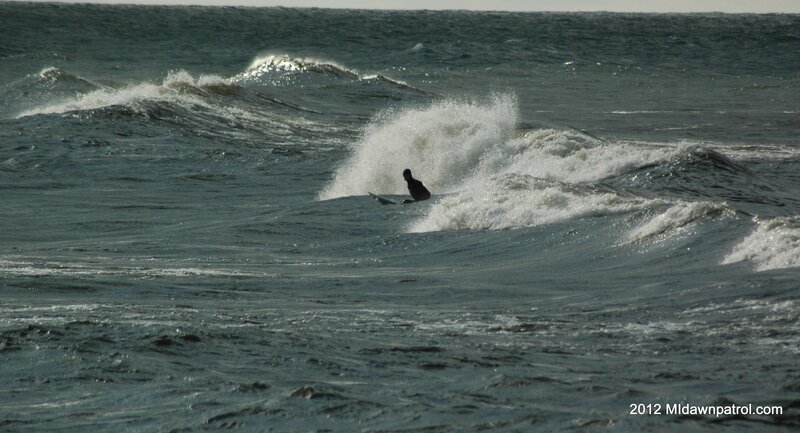 Another reason I adovocate getting into surfing is because it will increase your stoke factor for kiteboarding. I was in Manistee a few weeks ago waiting for the north wind to kick in and decided to get on the stand up paddle board. It had been blowing pretty hard earlier in the morning and some decent swells were curling around the elbow of the pier. I was just enjoying being out on the water when all of the sudden I saw that tell tale ripple across the water indicating that the North wind was going to bear down on the little slice of kiteboarding heaven that is 1st street beach. I was out a few hundreds yards from shore when the ripple showed up and had never been so stoked to get back to shore and gear up to go kiteboarding. Being out on the water and being the first to see the wind coming up was a great feeling and I couldn’t paddle fast enough to shore.